Ive never tried a scooter (apart from a Pug Speedfight 100 i bought for my daughter about 20 years ago, which was horrible). I suspect they have come on a lot now though - especially since they started putting bigger diameter wheels on & proper suspension with proper telescopic forks. I've a couple (2.5) of these gems I picked up earlier in the year, with the intention of flipping them. Two could (probably) be restored to fully stock. Well that's just the bare bones, or a blank canvas. Depending on your alcohol level on a given day. I'd still have the makings of this though, or many MANY variations of it. It could be the one I decide to keep though as there is something quite charming about them, I'd feel bad if I got shot of all three. Simple story. I've always hated scooters and could never understand why people bought them. But I tried one a few weeks ago and instantly decided that this was exactly what I needed to do my mini European tours on. So I pick up my new Honda Forza 300 on Friday. 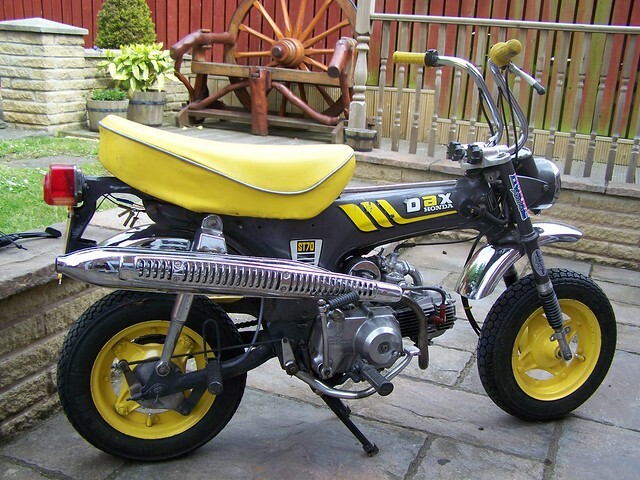 I phoned a few friends and sold off 4 of my bikes just leaving my Rex and my old CB250G5. I didn't "fall in love" with the scoot, I just felt that it was ideal for touring - comfortable and easy to live with. The whole scooter thing feels a bit daft, but in a good way, and it just feels like a new chapter in my two wheel journey. I cant imagine how my life would be today without scooters. Getting into the scooter scene changed my life for the better. Still love my scoots though, it's just a different kind of experience, but you just can't beat the Rex for pure fun! you just can't beat the Rex for pure fun! I found the rex seat broke my arse big style after 600 miles over two days. Scooter or rex for comfort in your opinion? Hard to say as I have a Tony Archer on my Rex and it's one of the best seats that I've had. Where the scoot shines though is the ability to change the position of your feet, especially on the new Forza as the footboards extend quite far back. The upright riding position is also a benefit once your back muscles adjust plus the amazing weather protection (albeit with a slightly car like feel to riding). Conclusion? - I'd take either bike long distance.